Formal, fanciful or modern, garden topiaries make one take notice. They do have a bad rap though, for being high maintenance. You don’t need a team of well paid gardeners and a palatial estate to have these in your yard. In fact, you can make them yourself! We won’t lie, you do have to keep them up. But a little bit of trimming and clipping is nothing compared to what they give back. So check out these DIY topiary projects for the garden, get one (or two!) started of your own, and send us photos of your creations! This gorgeous bit of inspiration is from the Royal Château of Amboise gardens in France. 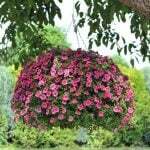 There are a few ways to DIY a garden topiary, depending on what effect you are looking for and how much work you want to put into it. First of all, here are the basics for trimming a shrub into fun shapes. 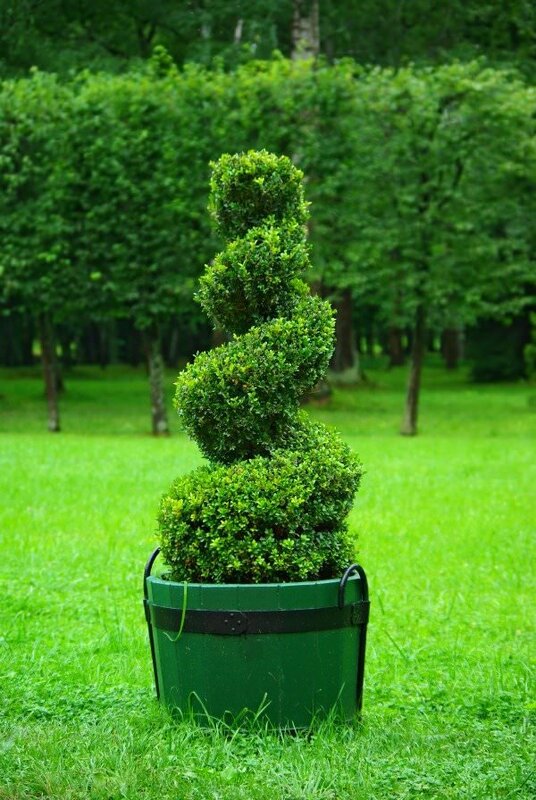 The tutorials that follow have more in-depth directions on how to make a DIY topiary. 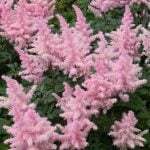 Evergreen broadleaf shrubs such as boxwood, yew and privet are the best shrubs to start with. Ivy also can be trained into topiary shapes with a frame. 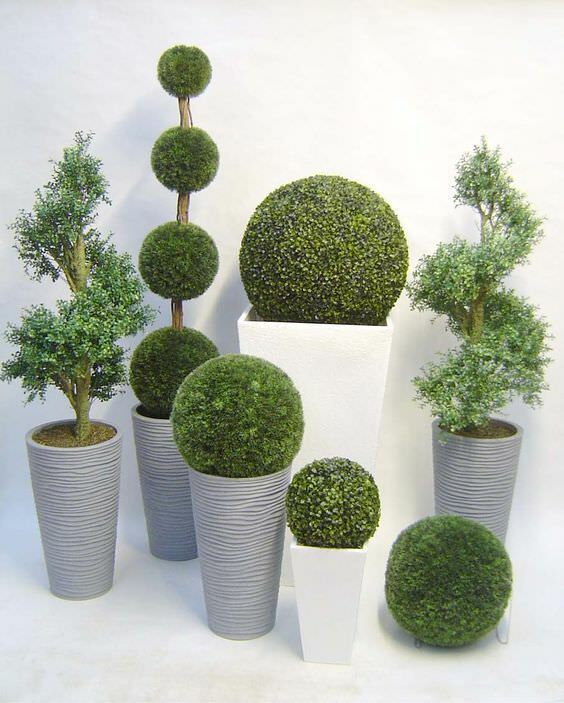 Formal topiaries tend to be a geometric shape, a standard, a globe, a spiral or a pyramid shape. These are probably the best place for a beginner to start. Nope, not shopping for bras here ladies. You can either purchase or make a wire frame to create a structure for the shape, or you can choose to go wireless and trim freehand. Wire frames are also necessary if you are using an ivy plant. If you are using ivy you will be growing the ivy to fit inside the frame. 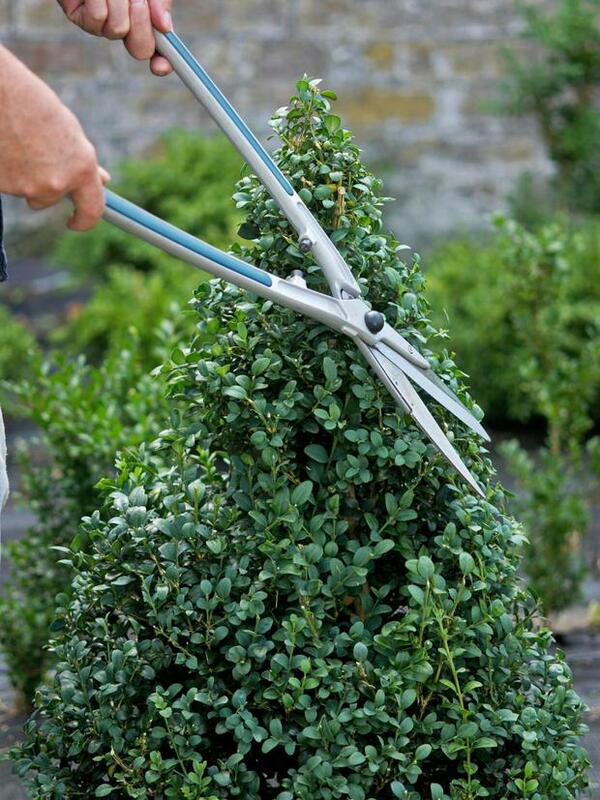 If you are doing a shrub topiary, you will be pruning the shrub as it grows to fit within the frame. Take care of your plant! Topiaries bought from a nursery are very expensive, based on the amount of time it takes to bring them to maturity. 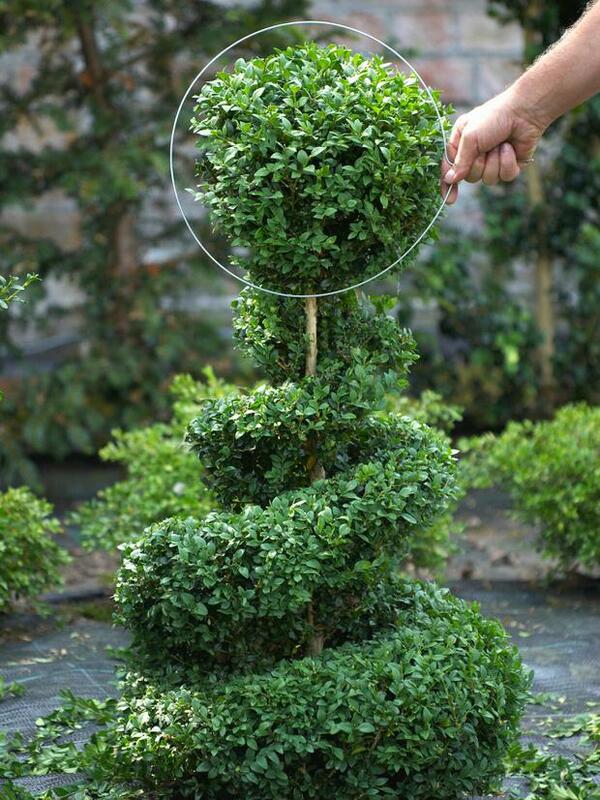 You wouldn’t let an expensive shrub die for lack of care, so don’t treat your DIY topiary any differently! 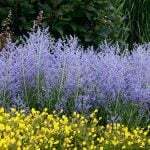 Water them regularly, watch for signs of pest and treat promptly, and plant in good soil. 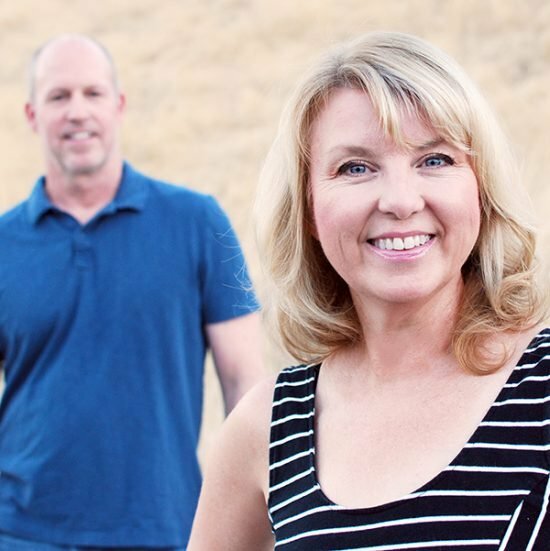 Want more step by step details? 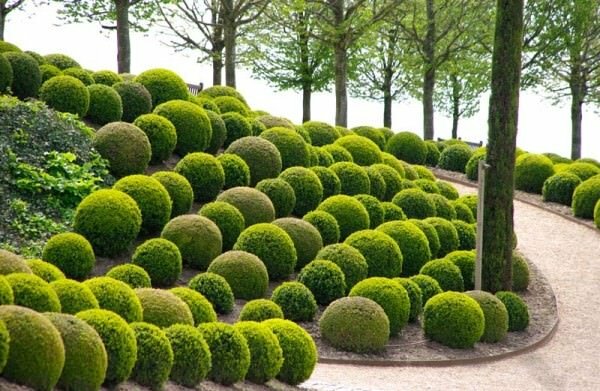 This article from ‘Do It Yourself‘ takes you all the way through DIY topiary in pretty good detail. 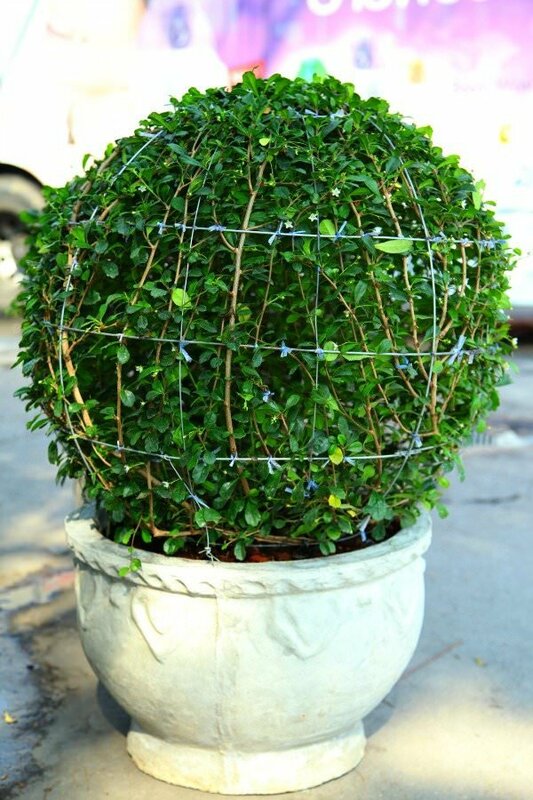 ‘HGTV‘ shows us how to create a boxwood topiary using wire as a template for pruning. This makes the process a little less freehand, but doesn’t require a wire frame! 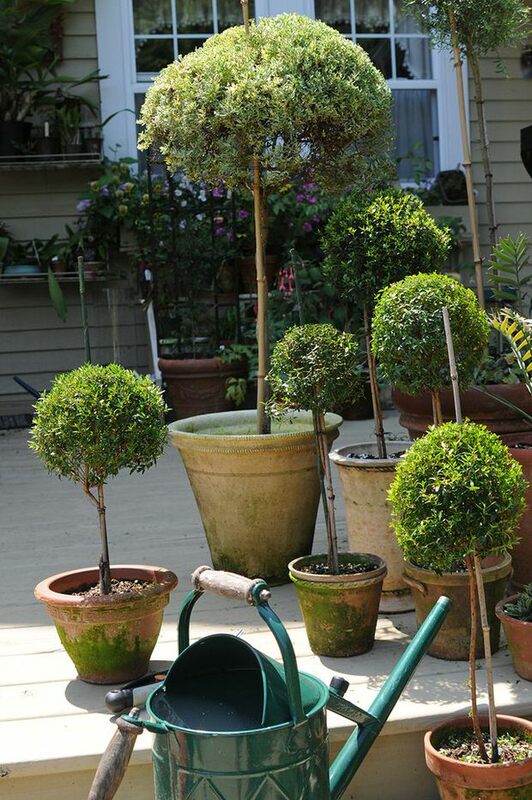 You can also buy topiary templates if you prefer, like this one from ‘French Gardening‘. Seems like this might be a tool to make the job a lot easier! Matt Mattus from ‘Ehow Home‘ shows us how to make an herb topiary from cuttings. Yep, herb topiaries can be used out in the garden or brought indoors. 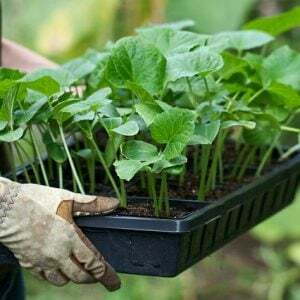 They can be grown from rooted cuttings or even easier, store bought plants. And yep, you can still cook with them! Follow his tutorial to grow these gorgeous little standards. 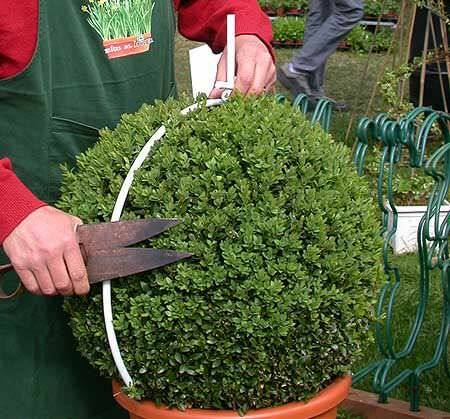 Also from ‘HGTV‘, maintaining your DIY topiary is as simple as using trimmers on it regularly to keep the shape. Ok, now for a little inspiration. Think topiary is just for a traditional garden? Here is a great photo from ‘Evergreen Direct‘ that shows that they can be very contemporary too. Ok, full disclosure, these are artificial plants. Either way, the idea remains the same! 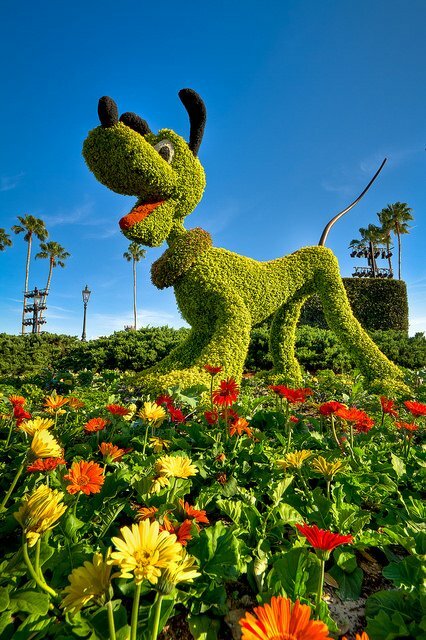 From ‘Jeff Krause‘, this photo of Goofy at ‘Epcot Center’ shows us how fun garden topiary can get! You would need a frame and a bit of patience for more complex shapes like this. Finally, we just couldn’t resist this cute little elephant topiary. We have no idea where it’s from, so if anyone knows the correct source, please email us! 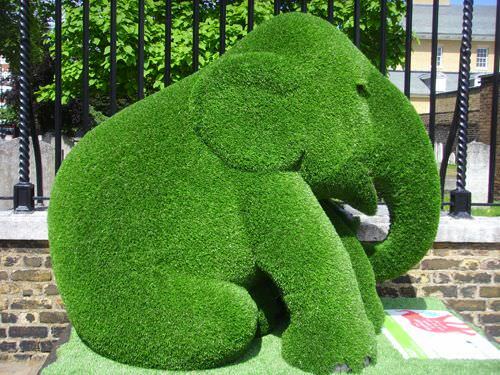 We Googled “animal topiary frames” and found some cool possibilities out there! Let’s make a topiary! We hope you enjoyed learning how to make DIY Topiary Projects for the Garden! We think you would also love our posts on DIY Garden Gates or How to Build a DIY Trellis! 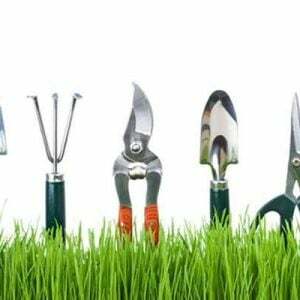 ← When Should I Plant What? Love the idea.. specially the round plants and elephant.. how many hours do you spend cutting that? I really like this diy project, goofy shape very funny and inspiring. 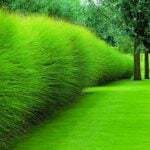 I’ll make it for my home garden.